Shown at the Consumer Electronics Show in Las Vegas on Jan. 5 2017, the Vision Truck is a collaboration between Mercedes and Matternet, a California autonomous drone company. The vehicle aims to revolutionize package delivery. 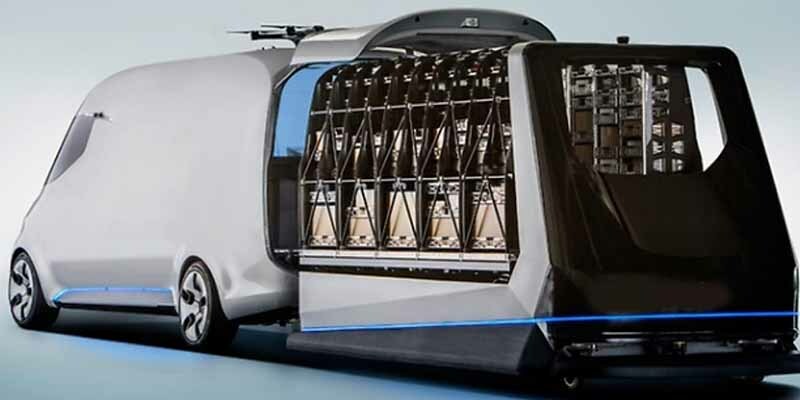 It has no windows other than the windshield, is driven remotely with a joystick and has on-board drones to speed up delivery in case of heavy traffic. The loading mechanism is a special “cartridge” that can be pre-loaded with packages as the truck makes its rounds and then inserted in one motion.